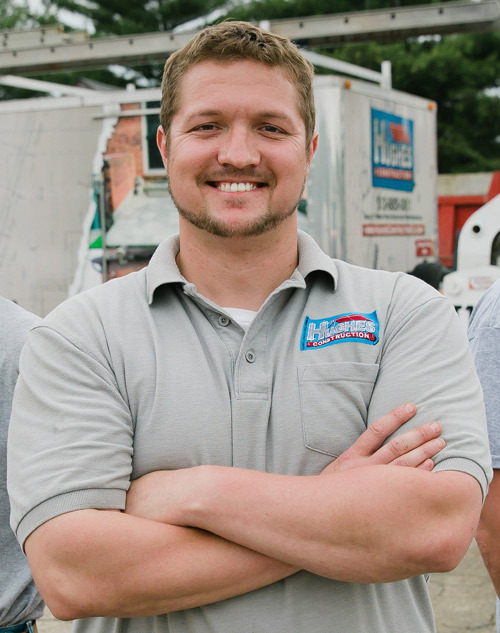 Hughes Construction Company was started in 2004 by Tyler Hughes, the current owner and operator of the company. Tyler got his start like most people in the industry, as a laborer. He was able to pick up skills from various co-workers along the way and eventually enabled him to jump start Hughes Construction Company. Tyler attended Archbishop Moeller High School in Montgomery Ohio and continued his education at the University of Cincinnati’s College of Engineering and Applied Science. One of the primary reasons Hughes Construction has been so successful in the foundation repair industry is Tyler’s engineering background. His commitment to education is evident and continues to this day by consistently staying ahead of the industry on new means and methods of construction.